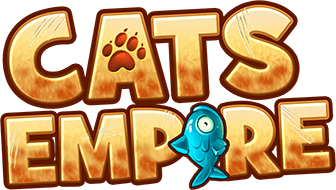 The totem in Cats Empire offers you a great possibility to improve parameters and statistics in your game. The totem feature is locked until you reach level 8. With the totem, you can even generate cat coins! To benefit from the desired effect, all you need to do is to improve the appropriate part of the totem. Once upgraded, you can visually distinguish the totem part from its previous form. Improving the totem provides you not only with cool bonuses, but also a nice and continuously shifting yard decoration! Each upgradable parameter, except from the enhanced cat gang size, has 7 levels for you to upgrade.